Please consider the impact your gift can have at Ireland’s Great Hunger Museum each year. The following are examples of how your annual donation will touch lives and share the lessons of Ireland’s Great Hunger with generations to come. Ireland's Great Hunger Museum is a registered 501 (c)(3) nonprofit organization and all donations are tax deductible. 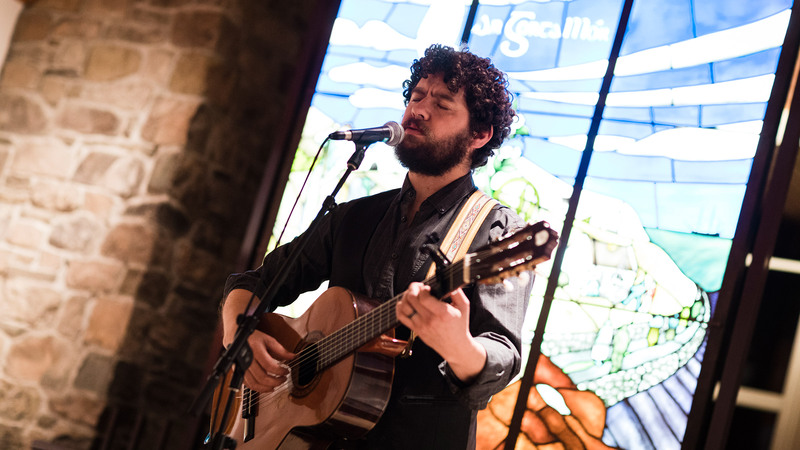 Declan O’Rourke performs his new album “Chronicles of the Great Irish Famine” at the museum, November 2, 2017. Donations to the museum help fund programs including lectures, children's events and musical performances. 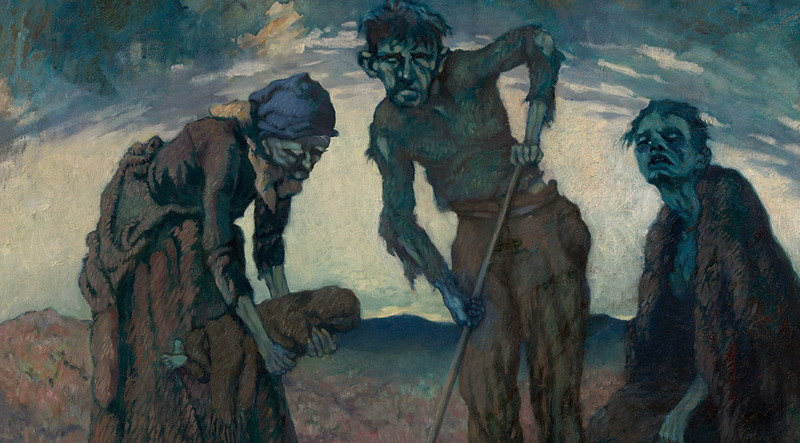 Become a member of Ireland’s Great Hunger Museum and help the museum to continue to advance its mission of educating audiences of all ages about the causes and consequences of Ireland’s Great Hunger, and how it relates to modern-day issues. 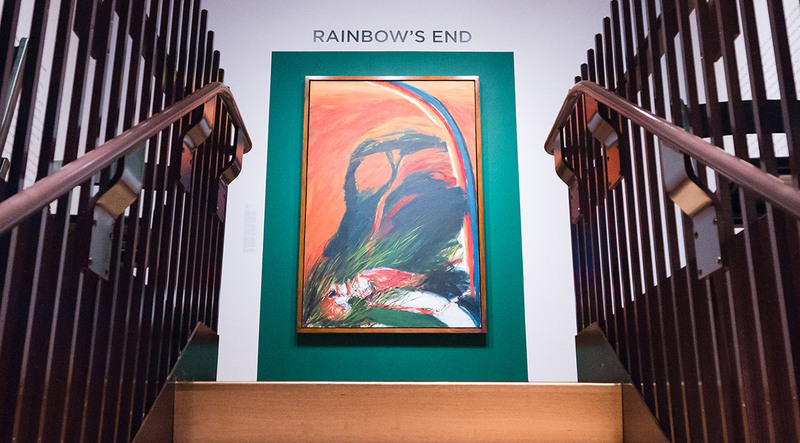 As a member you will receive free admission, invitations to exclusive events, and discounts on special programs — it’s an opportunity to intimately experience the museum while supporting educational programs for schools, helping to create world-class exhibitions, and providing care for the largest collection of Famine-related artwork in the world. A pledge is a formal statement of your intention to make a gift to Ireland’s Great Hunger Museum. It may be followed by an immediate gift or by payments in the future. Gifts made in memory of a loved one or in honor of an individual, family, organization or special occasion are welcomed. Please specify in the comments on our donation page who the gift is in honor of, in memory of, or in celebration of. We will happily notify the recipient/recipient’s family if you would like. 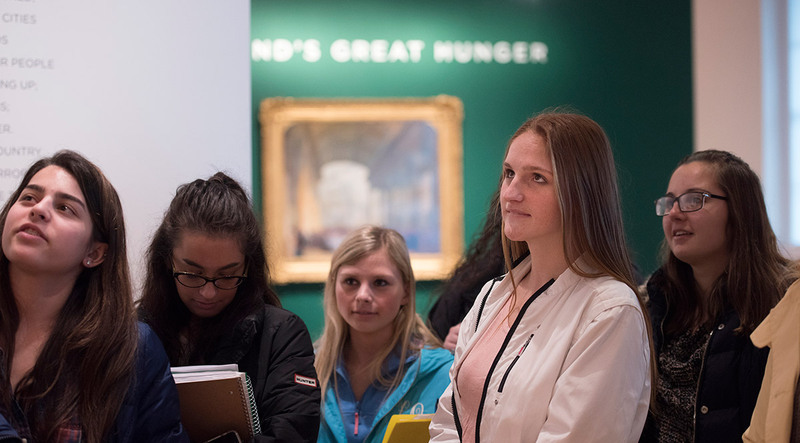 You can increase your gift to Ireland’s Great Hunger Museum, sometimes doubling or in some cases tripling your gift, by facilitating a matching gift from a participating corporation that you are affiliated with. Donations of appreciated stocks and bonds are a favorable way to make charitable gifts. You may receive income tax deductions, avoid capital gains tax, and possibly save on your estate taxes. Please contact Ryan Mahoney at 203-582-6573 or ryan.mahoney@qu.edu for more information. 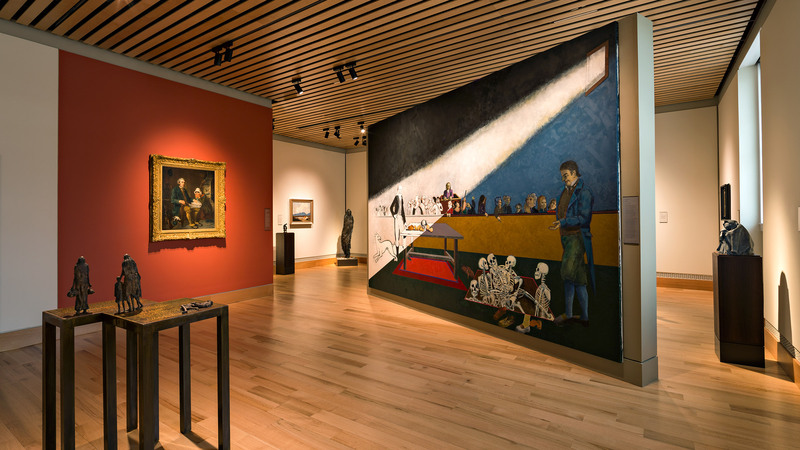 Ireland’s Great Hunger Museum welcomes your gifts of artwork, which can be made through outright gift or through a bequest. Please contact Ryan Mahoney at 203-582-6573 or ryan.mahoney@qu.edu for more information. Please note: the museum’s board of directors must approve all donations of art. A gift through your will or trust can allow you to have a profound impact on Ireland’s Great Hunger Museum without affecting your current assets or lifestyle. Whether you wish to provide general operating income for us to use as needed, which provides us with flexible support, or to a specific program, a bequest is a way to ensure that we and our programs continue to operate through your generosity. An alternative to a bequest gift is to designate Ireland’s Great Hunger Museum as the beneficiary of your retirement assets. This gift is simple because you can control the transfer of these assets at your death without changing your will or living trust. All you need to do is request and complete a new beneficiary designation form from your plan administrator. A gift of retirement assets is among the most tax-wise ways to make an estate gift. This is because your retirement assets, if left to individuals, will be subject to income tax when they receive distributions. With a gift to a non-profit, no taxes are removed thus allowing 100% of the funds to be used to further its mission. Life insurance policies can also be used to benefit the museum by completing and returning to your insurance company a form designating that the museum receives all or a portion of the death benefit associated with your life insurance policy. Please contact Ryan Mahoney, executive director, at 203-582-6573 or ryan.mahoney@qu.edu for more information.